EXCLUSIVE! 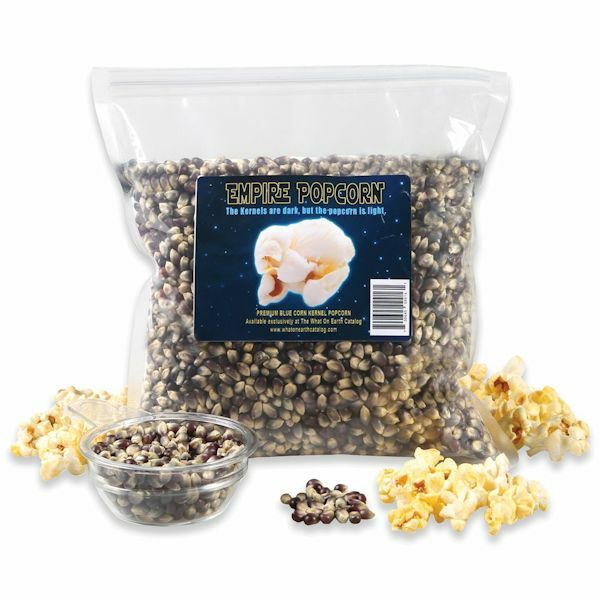 Take these delicious blue popcorn kernels from the dark side to the light in your pan, air popper, or oil popper. Dark blue kernels release a deliciously unique taste in a delicious fluffy white popcorn once cooked, making them the perfect snack for watching your favorite movies and series. Two pound bag.